Run `pkcon refresh` from terminal as nemo user, and `zypper ref` as root user and check if there are any errors shown. If you dont have zypper installed, install it with `pkcon install zypper`. If pkcon shows you an error, you either have problem in your ported rom, or in your network configuration, as package kit is unable to connect to server. Ensure that your date/time settings are correct. openrepos urls are redirected to https, i.e. 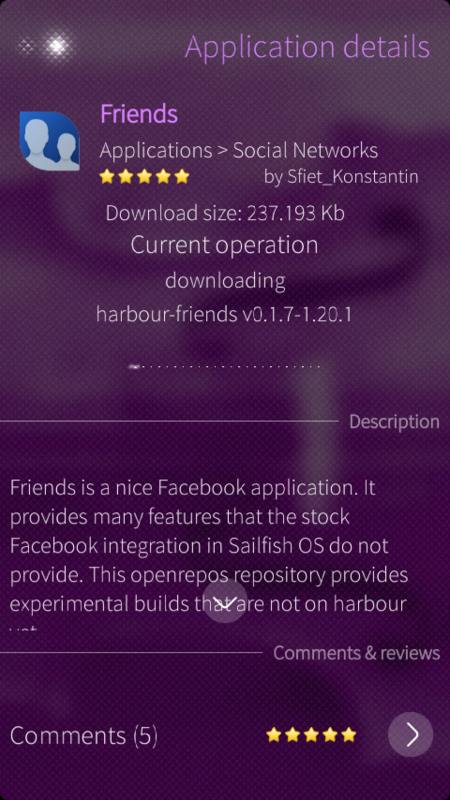 http://sailfish.openrepos.net/... redirects to https://sailfish.openrepos.net/... for the actual data. in browser http is redirected to https..
date and time are correct..
For now, you can try to replace all http urls for https ones, and check if it will work. ssu stores config at /etc/ssu/ssu.ini at [repository-urls] section. Known issue. Caused by qt & packagekit updates in uikutta. No resolution yet. The repo list is empty and I cannot add any new repos. Reinstalling did not help. Do you know how to fix? 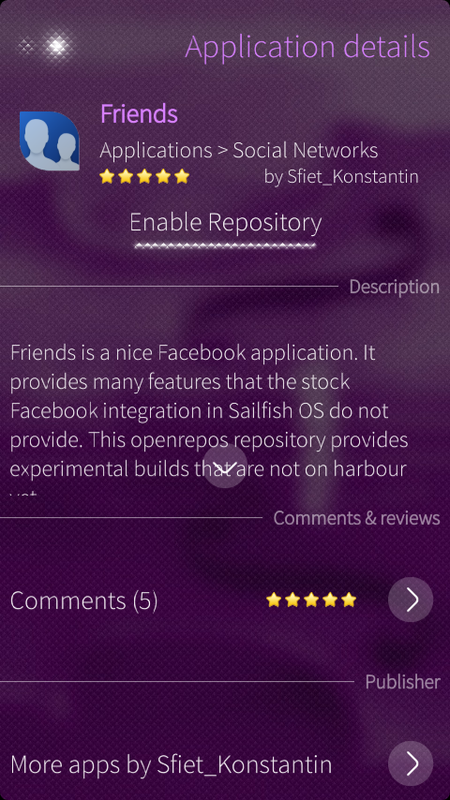 What version of SailfishOS you are using? Some of your repositories are not available. run "pkcon refresh" from terminal to get the list. 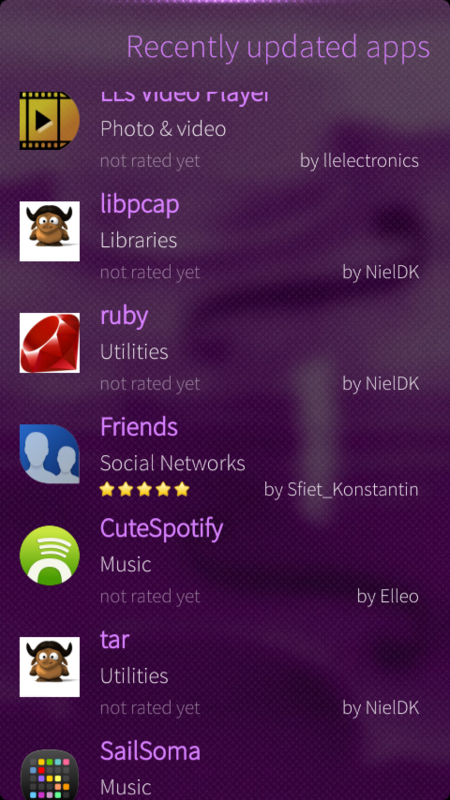 In addition, all the repos I had previously enabled are gone, and trying to add them again gives the same as above. I'm running 1.0.8.21 and it's been like this since that update I think. Run `pkcon refresh` from repository, and it will list broken repository. And that's it, there is no indication of anything being broken. It appears I can add repositories, update packages, etc from the command line with ssu and pkcon (as described here), but Warehouse does not seem aware of any of this and will claim I have no enabled repos. Yes, i meant from command line of course. Do you run pkcon refresh as nemo user(not as root?) Try install zypper (with 'pkcon install zypper') and run 'zypper ref' as root, it can provide more details about errors. If pkcon runs as nemo users without any errors, warehouse also should, since it is only a gui for packagekit. Your link contains wrong infromation. Repositories should be named 'openrepos-username' to be visible by warehouse. For example 'openrepos-basil' for my repository. Also, remove all wrong repositories listed by zypper and warehouse will work. It appears that if I rename the manually added repos the way you suggested, they do indeed become visible from Warehouse. At least for a while, because then their old names are restored (and newly added repos are removed completely). I still can't add repos from Warehouse, I just get the repo-not-found error. Also, "zypper ref" as root shows no errors. Repository information is managed by ssu. Any manual changes to repositories data (without using ssu) will be vanished after any update. Remove all manually added (or even every) openrepos repository using ssu utility to proceed. Also, make sure you are using latest warehouse version. Yeah, after playing around a bit with "ssu dr" and "ssu er" things seem to be working again. Thanks! 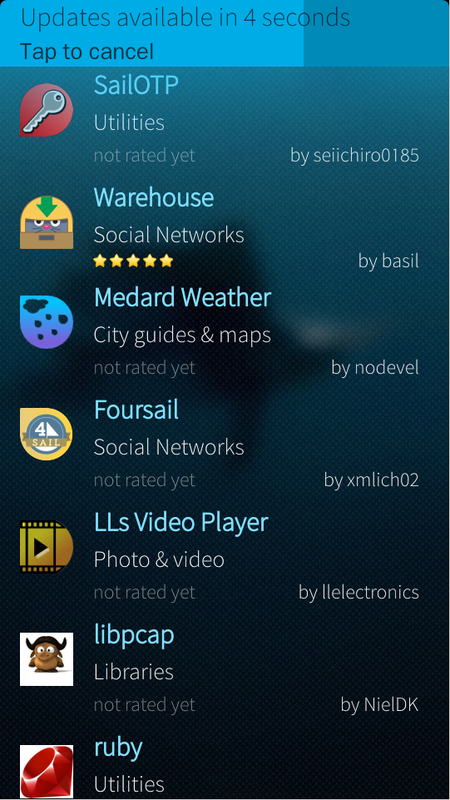 Something wrong with your Jolla account. Probably you can find answer at TJC. You should ask at xpda developers or talk.maemo.org. I can only help you with Warehouse issues. ... however I'm going to test it again. Here it goes, preview and save, 4th time. ... and it didn't work. When replying to your post, it worked, when posting a new comment, previewing it and then saving it didn't work. Hi. I commented on a couple of apps in Openrepos.net and previewed them before saving and my comments didn't get published. But when I just saved them without previewing, they got published right away. Nope, couldn't find my comment. Now saving without previewing. If you press 'Preview' on you comment, it does not post anything, it's preview with rendering of comment text. You have to press 'Save' after previewing your comment to publish it, if it ok to you. That's what I did, for example in my comment you replied to: first previewed it and then saved it and it didn't get posted. I'm going to do it again with this post: Preview, approve without editing and saving it. Go. Gone. Hmm, it worked this time but not the previous three times. Whatever, I'm glad it works. 1.) Warehouse is not showing any apps except the "recently updated" page. all other sections are emtpy (0 pages), search function also returns 0 results for apps that are in the repos. 2.) Are you going to make the keyboard appear by itself when opening the search page, with the cursor already in the text field? that would be very convenient. 1) Are you using v0.3-21? Do you have internet connection switched from cell to wifi or from wifi to cell between warehouse startup and category browsing? Does page shows spinning indicator? I hopeI'm not repeating a question. basil:are you planning on implementing comment posting?